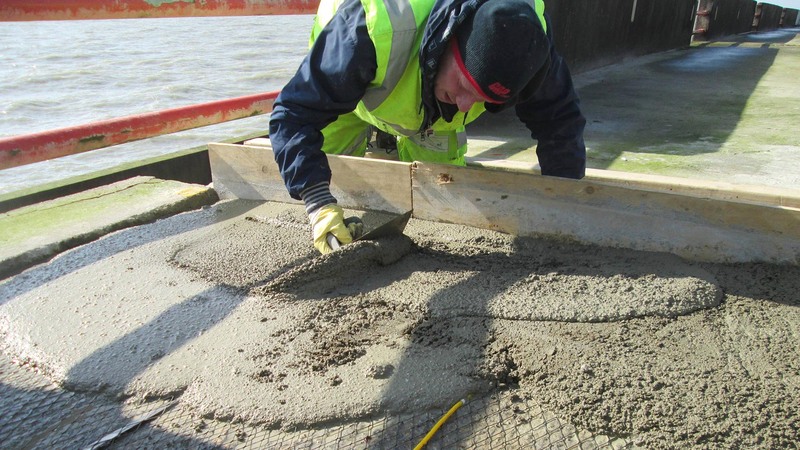 Weber's high performance concrete repair products have been specified in a major pilot maintenance project at Brighton Marina. Owned by Brighton Marina Limited this is the largest manmade marina in Europe and in addition to the substantial yachting capacity includes 1,000 homes, a multi-storey car park, major superstore, cinema, leisure centre and huge casino, a hotel and commercial properties. To defend this investment, substantial breakwater structures built in 1977 were formed by open bottom precast concrete caissons founded on concrete plugs. These were cast in situ and then topped with a reinforced concrete superstructure that forms the promenades and parapets running along the top of the caissons, tying the structures together. 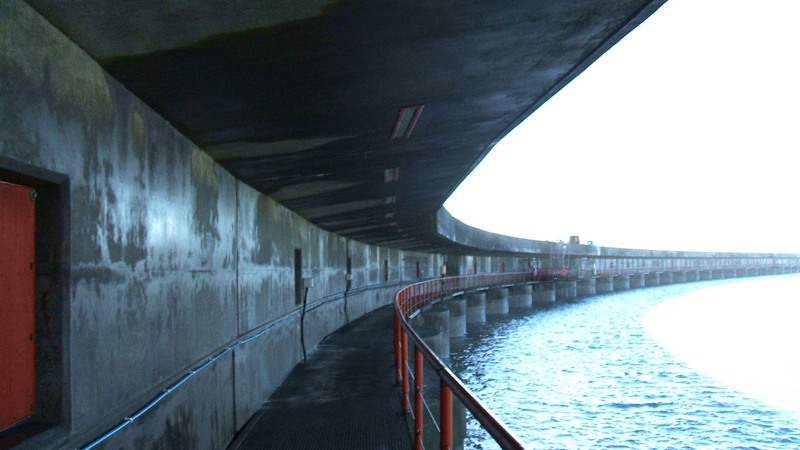 The harsh environment in which this sea defence structure has lived for nearly 40 years has prompted a continuous monitoring of the structural and material integrity of the breakwaters. In recent years a direct evaluation and trial was set up to determine the validity and implementation process of installing a Cathodic Protection (CP) system to protect, and extend, the performance duration of the steel reinforcing within the concrete structure. Cathodic Protection is an electrochemical means of corrosion control in which the oxidation reaction in a galvanic cell is concentrated at the anode and suppresses corrosion of the cathode in the same cell. This can be achieved in two ways: Impressed Current Cathodic Protection (ICCP), or Galavanic/sacrificial Cathodic Protection (GCP). The principle of ICCP is to manage the electro-chemical interaction by introducing the appropriate electrical current into the reinforcing steel to stop the corrosion. With the galvanic/sacrificial protection, an anode is added externally to the structure. This will always have a lower negative electric potential than the steel within and thus will corrode in preference to the steel. This external anode can also be more easily replaced on a maintenance basis whereas corrosion of the reinforcing steel could compromise the structural integrity of the caissons. Failure of these breakwaters would be catastrophic both from a Health & Safety and commercial point of view, therefore ongoing preventive maintenance is the only policy. The pilot scheme has been undertaken by Concrete Repairs Limited (CRL) of Mitcham, Surrey, to validate the installation process and Saint-Gobain Weber concrete repair products were specified as an integral part of this package. Working methods were researched and confined space training provided for the technicians responsible for installing the CP system within the hollow caissons. Once the CP mesh was successfully connected to the reinforcing steel, webercem spray DS was used to form a strong, protective coat over the mesh and wiring. webercem spray DS is a ready-to-use, polymer-modified, cement-based concrete mix that contains inert limestone aggregates and dust suppressants. The formulation has been designed especially for dry process spray application where the water is mixed with the materials only at the nozzle outlet. This gives high early strength, reduced rebound of the material from the target substrate and maximum application thickness. webercem spray DS has been used for both the internal and external protection of the CP system and also for the repairs of any spalled concrete on the trial caisson. webercem pyratop was used to resurface the roadway above the caisson to achieve rapid strength gain as this product provides 25N/mm² compressive strength in just one day and conforms to BS EN 1504-3 meeting the requirements for a Class R4 repair product. Ben Lawson, senior contract manager at CRL, has managed the Brighton Marina project. "This was a complex project but a very worthwhile one in many ways. We brought our wide experience of repairs to marine structures, bridges, highways and buildings and added fresh control measures to make an application process for this project. Now the initial trial is over, in conjunction with the consulting engineers and the client, we will analyse the procedures and refine the methods for when the main programme commences. We specified Weber products from past and very satisfactory experience, as well as for exemplary technical support. The use of the webercem pyratop for the roadway cover screed meant that we could re-lay the surface in one day and this fast curing meant access for emergency vehicles was possible very quickly." Since the 16th Century a harbour was planned at Brighton Marina but it wasn't until the 1960's that permission was granted for the new man-made harbour. 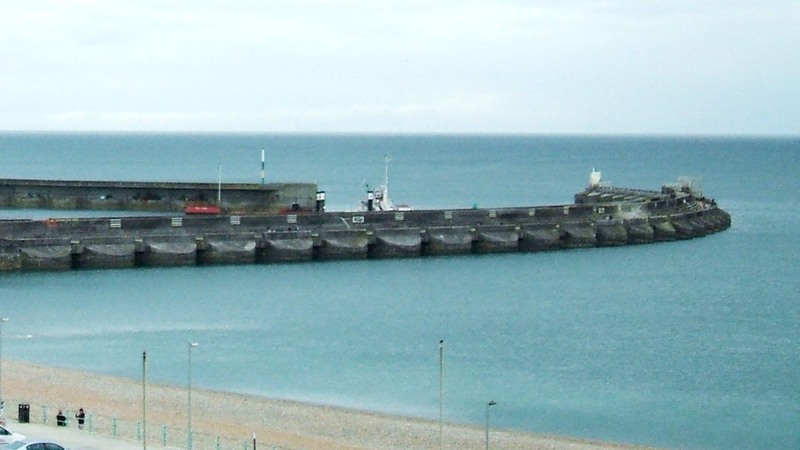 To defend the structures on the Marina, breakwaters were essentially required to provide a protected entrance and safe haven from the worst weather of the English Channel. Saint-Gobain Weber concrete repair products are playing an important role in the longevity of these protective structures.